The Gerber Exchange-A-Blade E.A.B. 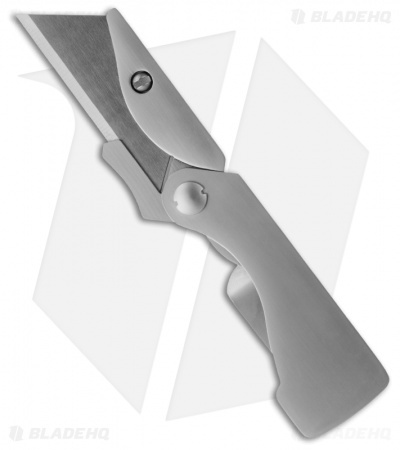 pocket knife is a convenient, compact sized folder that uses contractor grade or standard size utility blades that can be easily replaced as necessary. 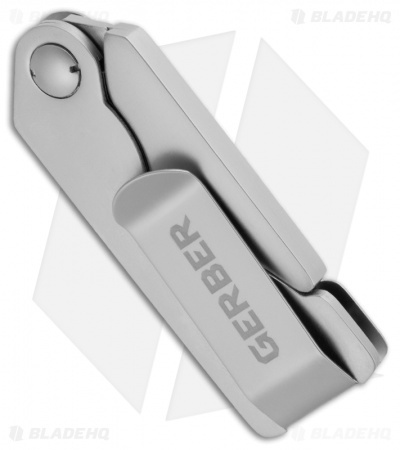 The stainless steel handle has a liner lock and pocket or a money clip. To replace the razor blade, simply raise the screw for easy opening. Fits perfectly into the "5th" pocket in a pair of jeans. Swapping blades ensures you are always sharp, even if you can't sharpen where you are. Just need to go to just about any store and buy a new utility blade. Only issue, you need a screwdriver (or a very firm thumbnail) to unscrew the blade retainer. Not super convenient for a quick change. But for right around $10 it's a sure thing. I have owned one for years and love it. It is nice having a knife that you KNOW is razor sharp, because it is a razor! Just be careful not to mess up the screw head when tightening the screw. I have EDC'd one of these every day of my life since 2008 and I cannot say enough good things about it. It's small and unobtrusive, so you don't even know it's there 'til you need it. The lock has never once failed on me, I can change the blade by removing one screw which I can remove using a flat head screwdriver or even just a penny, and it leaves more of the edge exposed than a garden-variety boxcutter which means more cutting ability. Also, one-handed opening is very easy with this knife and you can also inertia-open it. If I lost my EAB and I came back to this site to get a new one and I discovered that the price had gone up to $50, I'd pay it. Gladly. Note: get this one, not the EAB Lite — the EAB Lite has issues like the fact that a normal standard sized contractor blade doesn't fit in it and the end pokes out when it's closed. I bought an EAB Lite thinking I was gonna give this one to my girlfriend and keep the EAB Lite for myself. I ended up sending the EAB Lite back to Gerber 'cause I cut my finger on the tip poking out when it was closed, and ordered another EAB to replace it.